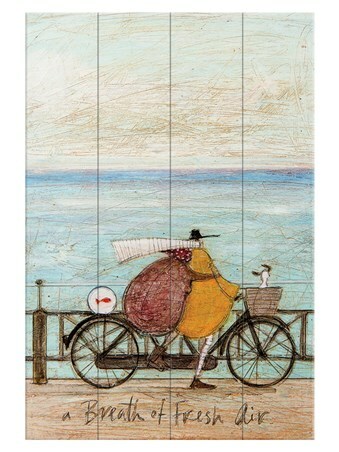 Taking a trip to a much warmer beach compared to Brighton, the Mustards are quite liking the new climate! 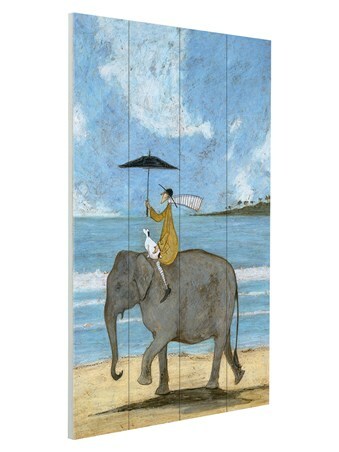 Riding upon the back of an elephant along golden sand and crystal sea, Mr Mustard and his little Jack Russell Terrier Doris soak up the dazzling sights together. 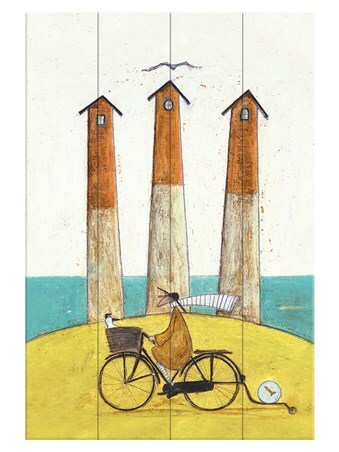 Almost drifting in from the calm waters, this rustic wooden wall piece by artist Sam Toft is bright and adventurous, yet still in keeping with Toft's innovative style. 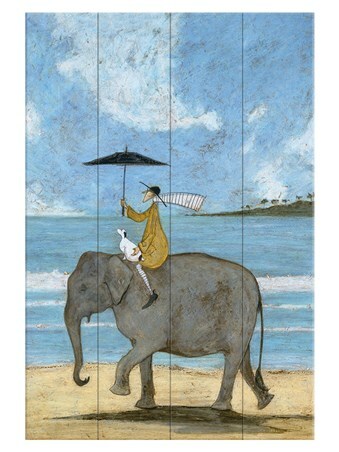 High quality, framed On The Edge Of The Sand, Sam Toft wooden wall art with a bespoke frame by our custom framing service.